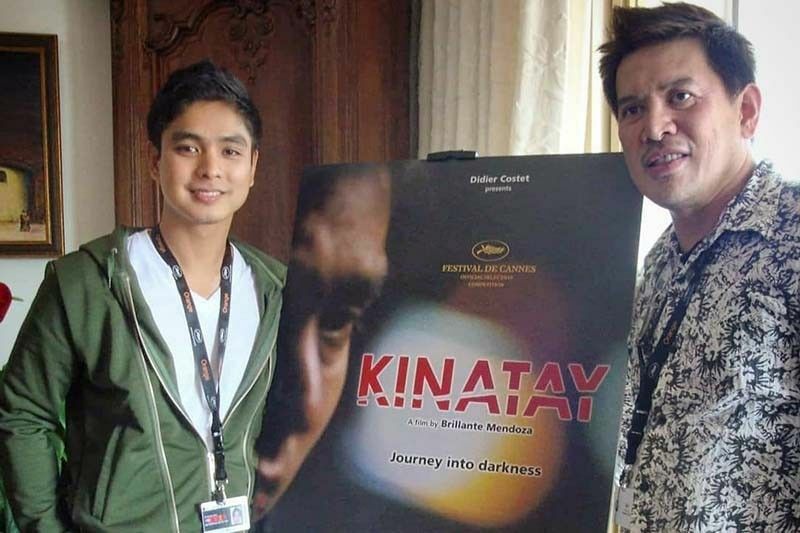 Director Brillante Mendoza posted a "throwback" photo of him and actor Coco Martin with the poster of award-winning film "Kinatay" last December 6. Coelho said that Brillante Mendoza’s “Kinatay” is “one of the most disturbing movies” he watched this year. “Kinatay” is a 2009 independent film written by Armando Lao and directed by Mendoza. It premiered at the 62nd Cannes Film Festival. The film is centered on a criminology student, played by Coco Martin, who went on to work as an errand boy for a local syndicate. It depicted torture, beheading and dismemberment. The film drew mixed reactions from festival watchers. The author said that if the movie had been directed by Quentin Tarantino — known for his strong hand in crime thriller genre — it could made it to the shortlist for the Academy Awards. Tarantino is an American director whose works include "Kill Bill," "Inglorious Basterds" and "Django Unchained." Mendoza bagged the Best Director Award for “Kinatay” in 62nd Cannes Film Festival. The film also won award at the Sitges Film Festival in Spain in the same year.